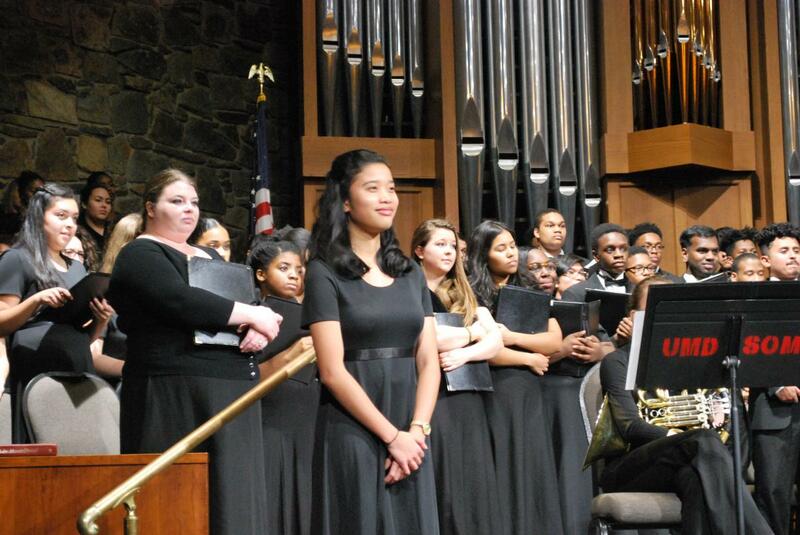 About 140 students participated in Washington Adventist University’s (WAU) Columbia Union Choral Festival last weekend. Students from Blue Mountain Academy in Hamburg, Pa., Highland View Academy in Hagerstown, Md., Pine Forge Academy in Pine Forge, Pa., Richmond Academy in Richmond, Va., Spring Valley Academy in Dayton, Ohio, Takoma Academy in Takoma Park, Md., and WAU participated in the event. Washington Adventist University (WAU) is mourning the recent passing of a former president and alumnus, George Hillry Akers, Ph.D. Akers was president of his class when he graduated from the university in Takoma Park, Md., (then known as Columbia Union College) in 1947. He later returned to serve as president of his alma mater from 1970-1974, a school he credited for being instrumental in his Christian development, and for greatly molding his life. WGTS 91.9 listeners gave an early Valentine’s present to more than 950 children. The listeners stepped up to sponsor children through Compassion International during WGTS’ Days of Compassion Event. The two-and-a-half day event spotlighted the stories of children growing up in poor areas of the world and provided listeners the opportunity to meet the needs of those children. The Daily Record has selected Terry Forde, president & CEO of Adventist HealthCare, to receive the 2017 Influential Marylander award. Fifty-one Influential Marylanders were selected by the editors of The Daily Record for their significant contributions to their respective fields and for their leadership in Maryland in the following areas: health care, civic leadership, communications, education, finance, freestyle, general business, law, philanthropy, real estate and technology. The Daily Record launched Influential Marylanders in 2007 to recognize those who are leaving a mark on the community throughout the state. The psalmist’s appeal to God for forgiveness of his sins is one of the most memorable in the entire Psalter, due in part, to the historical title that situates its composition by David after Nathan the prophet confronted him about his sin with Bathsheba (2 Sam. 12). While the words of this prayer fit the occasion well, we should note that nowhere is this particular historical event mentioned specifically, indicating that the poem was not written to memorialize that moment, but to serve as a model prayer for others coming later who find themselves in similar, though not identical, circumstances. I sat down in the barber chair in a shop off New Hampshire Avenue in Silver Spring, Md. The woman cutting my hair introduced herself as “June,” and started in on the usual barbershop patter about length and style. In short order, we discovered a strange coincidence. June and I had been at exactly the same place, at the same time, at the same age. But at that time, our lives couldn’t have been more different. We're surrounded by hearts in February. Along with the paper and chocolate versions, there are the human ones: the beating hearts of more than 300 million Americans. Even in a short month's time, you can do a lot to take better care of your heart.